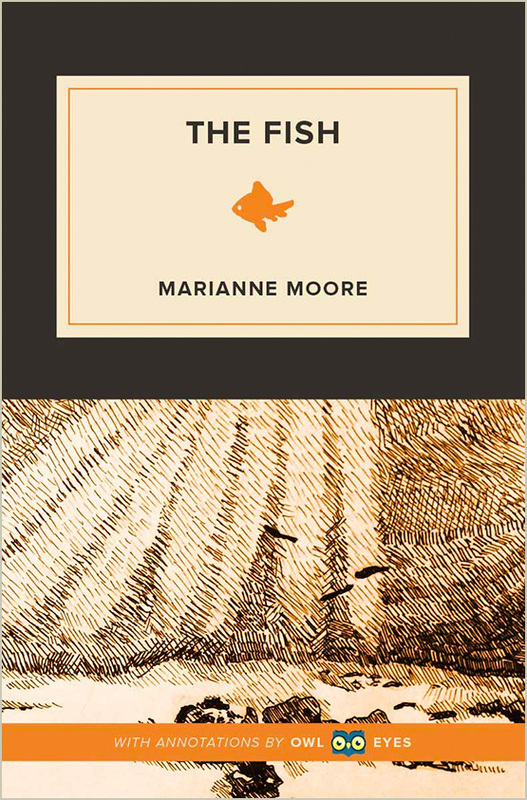 First published in 1918, “The Fish” is one of Marianne Moore’s signature works. In the poet’s hands, a seaside scene turns into a meditation on violence and mortality as well as a stage for formal experimentation. Indeed, “The Fish” is famous primarily for its startling and precise approach to language. The stanzas follow a fresh form, with lines of expanding and contracting length. Moore ignores meter in favor of a syllabic verse style that lulls and snaps with rhythmic dexterity. The poem’s images, metaphors and sounds are arresting. Light falling on water becomes “the submerged shafts of the/sun,/split like spun/glass.” Moore’s halting, disorienting style casts the seascape in a tense, savage light. The cliff, marred by “dynamite grooves” and “hatchet strokes,” remains locked in an ongoing battle with the sea. As land and sea push one another towards death, it becomes clear that the poem draws up human fears in its survey of the cycles of nature.